The story of Ragnar Lothbrok, a legendary Viking ruler during the Viking Age was passed down from generations to generations in Icelandic sagas, Old Norse poetry, and Anglo-Saxon literature. While his sons Bjorn Ironside, Sigurd Snake-in-the-Eye, Ivar the Boneless and Ubbe are determined by historical scholars to be non-fictional figures, none of the scholars can affirm whether Ragnar Lothbrok really existed or if he was a composite of several influential Viking leaders. Snippets of Ragnar's history can vary and contradict each other across different historical texts. Nonetheless, these separate historical accounts of Ragnar at least shared a few common beliefs; that he was a notorious king of Vikings, epic tales of his legendary raids on England and France, his demise and finally the act of vengeance upon Ragnar's enemies by his famous sons. Michael Hirst managed to turn the mythical figure of Ragnar Lothbrok into one of flesh and blood in the historical drama television series, 'Vikings', where Hirst holds the helm of its chief screenwriter and executive producer. He succeeded in tailoring a historical drama that is driven by Ragnar's life during the peak of Viking Age in the 9th century with backdrops of authentic settings and costumes. 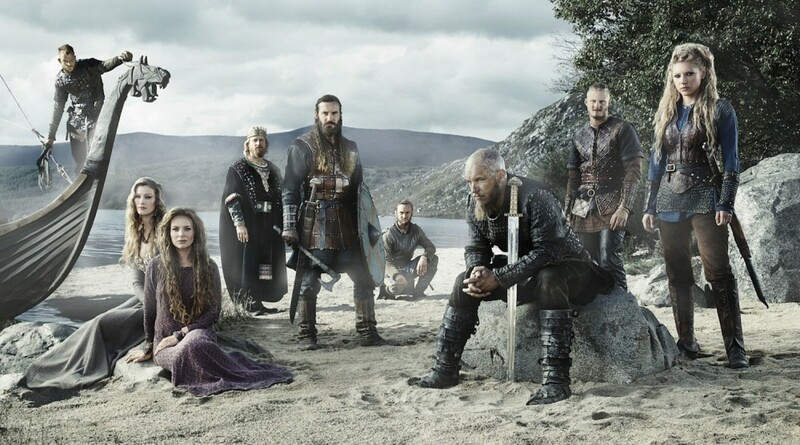 As a measure of its success, 'Vikings' stretched its run for 4 seasons on History Channel since March 2013 with a confirmed 5th season on the way. Hirst's achievement is commendable considering the design of his solid narrative based on the vague and fragmented historical accounts of its protagonist, Ragnar Lothbrok. The character of Ragnar, played by Travis Fimmel takes shape into a conflicted individual who ticks a lot of boxes in the personality section. It is not an overstatement to say Fimmel is naturally born for this role. Fimmel's charisma, playful and daring attitude breathed life into Ragnar that it is unthinkable to think of any other actor to fill in the role. All things considered, Hirst's Ragnar is a quintessential Viking against a backdrop of the medieval Scandinavian society that thrives on raids, conquest, mythology and the clash of beliefs between Norse religion and Christianity. Vikings: 'The Real Vikings' - Who Was Ragnar Lothbrok? Where else the Earls and Kings before Ragnar see only lands of tangible riches in their raids of foreign lands, Ragnar instead frees himself from the limited ambition that plagues the rulers before him. He desires a better future for his family and his people. It is the riches far more worthy than gold and silver that appeals to Ragnar the most; fertile lands where crops can not only grow, but thrive and produce more food compared to the lands in Scandinavia where farming is hard and the payoff is just barely enough to survive. 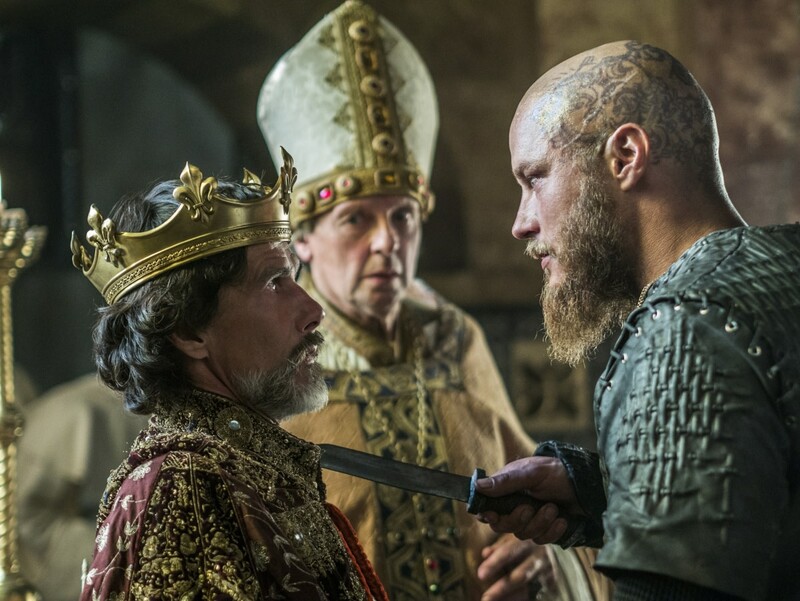 Due to his strong conviction in better future for his people, as a King, Ragnar forges an alliance and make truce with the Christians in England. This is another display of how Ragnar departed from the old thinking of Viking rulers. Where else previous Earls and Kings will rush head on to battle the Christians, Ragnar recognizes the benefits of building a bridge instead between the 2 cultures. This change of policy materializes after deadlock from skirmishes with the Saxon armies and the timely meeting with his one and only equal counterpart in the series in the form of King Egbert of Wessex. With the signed treaty between the Vikings and the Saxons, both Ragnar and Egbert are rewarded with a win-win situation. For Ragnar, his dream of settlement in better lands in Wessex for his people is achieved. For Egbert, he gained the strength of the Vikings as a part of his military force in the conquest of the kingdom of Mercia. However, as with any agreement that is signed with veiled distrust, the treaty is dishonored through Egbert's actions of wiping out the Vikings settlement in Wessex after Ragnar's departure from England. In season 3 and 4, Ragnar ventures in the other direction in regards to the Christians in Frankia. As opposed to his noble intentions of establishing settlements and forging an alliance with the Christians of England, Ragnar and his raiding parties sail to Paris, Frankia with nothing but conquest in mind. This change of perspective is encouraged by Ragnar's fascination with the grandeur of Paris as told by his closest friend, Athelstan. Ragnar's ambition of conquering Paris goes on to show he still has a lot in his tank for the glory of conquest and restoring the pride of his people as seafarers and raiders. The extreme means of his deception to successfully enter the city of Paris after failed attempts by his warriors is another measure of his ingenuity and cunningness in finding the best solution. Despite the immense power that comes with the throne as Earl of Kattegat and King of Norway, Ragnar is never actually depicted as power hungry. The narrative of the show makes it clear that the titles of Earl and King fall on his lap as a consequence of other people's action and not by his own design. The Gods seem to smile on Ragnar when he goes into a full protective mode for his family against the threats of Earl Haraldson, Jarl Borg and King Horik who lust for the blood of Ragnar and his family. Consequently, this is how the title of royalty befalls upon Ragnar, through the elimination of his enemies from the ruling class and his rightful ascension to the throne of Earl and King in accordance with the law of the Vikings. To Ragnar, titles only serve as a platform to bring prosperity to his subjects and his family. His view on power turns out to be quite uncommon in Vikings society where warriors hardened from raids and battles can't be separated from ambitions of power and control. In fact, his quarrel with Earl Haraldson, Jarl Borg and King Horik stems from these men's determination to defend their throne against Ragnar's rising influence in Vikings society. Power is dangerous. This I have always known. Look at what power has given me. Since I invaded Paris I found myself thinking, what use is power? You see, the problem with power is that the more you have, the more others want it. And in my world, power can only truly be built with blood. Only fools believe they can live forever by avoiding the fight. I embrace the idea of death. Will I get into Valhalla? I don’t know. Ragnar's casual take on his throne and power is again reflected in his fascination with death. His longing for a worthy death is pretty much rooted in his beliefs that the Gods favored him and he shall be rewarded with Valhalla for his deeds as a fair King and fearless warrior. Season 4 highlights his longing for death very well, particularly his dream of facing the Western Gate of Valhalla and his frustration over his denied entry into it. And not forgetting his confession to Yidu that he keeps thinking about killing himself and everyone else around him. To Ragnar, death is a better fate than life as he believes one can be reunited with their departed loved ones. Ragnar also fetishizes death so much as it is the only means for Ragnar to escape his life full of the burden as a king, father, and husband which he feels have reached a point where he can no longer bear the weight of his responsibilities. As a Viking patriot, Ragnar holds a wealth of knowledge on the subject of Norse Gods and its mythology. He even claims kinship with All-Father of the Aesir, Odin. It is through Odin that he offers his prayers in times of need for higher intervention from the Gods. He prays for help when he's captured by Earl Haraldson during the siege on his village and asked the Gods for a favor when he found out Lagertha can no longer bear a child. He consults The Seer every now and then for prophecies as he believes The Seer is a holy middle man between the mortals of Midgard and the Gods. With an attitude befitting a true Viking, Ragnar fights in the absence of fear of death as he submits to the will of the Gods and that if he fights well and perishes, his soul will be deemed worthy for a place in Valhalla. Ragnar also modeled his curiosity for knowledge to that of Odin's. Odin's quest for wisdom is never-ending, and he is willing to pay any price, it seems, for the understanding of life’s mysteries which he craves more than anything else. Parallel to Odin, Ragnar personifies similar enthusiasm in his search of knowledge as he recognizes the importance of wisdom in the ever changing world. Ultimately, it is his quest for knowledge that brings himself and his warbands through raids and the search for a better life in the lands to the west. His loyalty to Odin and the Gods are rewarded with his privilege of crossing path with Odin for at least 3 times in his lifetime. In the pilot episode of the series, Ragnar construes the apparition of Odin in the aftermath of Eastern Baltic battle and later in his village as a sign of blessing from the Gods to carry out his plan to sail west. 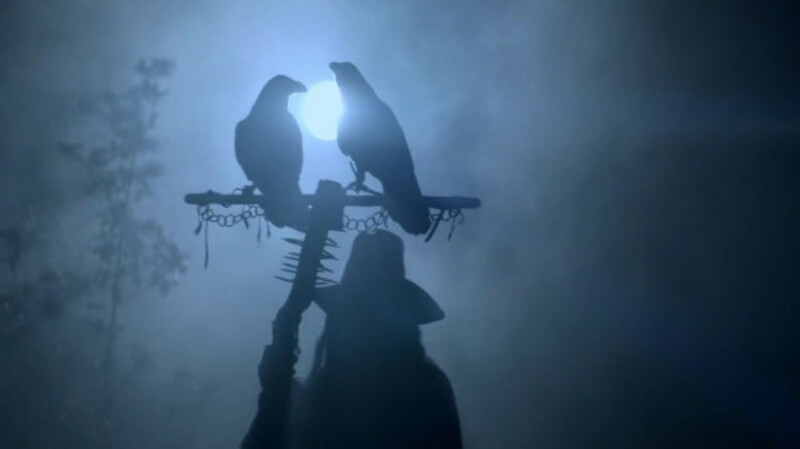 Odin appeared to him for the third time during the siege of Paris, in a conflicting vision of Odin, Jesus and Athelstan which embodies Ragnar's struggles between the pull of Odin's Valhalla and his yearning to be reunited with Athelstan in Christian heaven. The appeal of Ragnar doesn't only radiates from his character and ambitions, but also through his relationships with characters in his inner circle and adversaries. As colorful as Ragnar's character is, the same can be said about the ups and downs of his ties with others around him. As a norm in Vikings society, Ragnar doesn't only consider warrior pride as a symbol of manhood, but also the fierce protection of one's family that defines masculinity. The presence of his first wife, the famous shieldmaiden Lagertha and their children Bjorn and Gyda comforts him from the harsh reality of raiding and plundering. Unfortunately, the demise of his daughter to a plague tears him apart and it couldn't happen at a bad timing than in the middle of his rift between Jarl Borg and the betrayal of his brother Rollo. His love for Lagertha stands the test of times where both of them continues to harbor feelings for each other even after their separation. Ragnar's caring attitude towards Lagertha's pregnancy with Earl Kalf's child says a lot about their post-marriage relationship. Ragnar is a doting father to all his sons, especially Bjorn who grows up fighting beside his father from his early teenage years. Under Ragnar's guidance, Bjorn sharpens his mettle as a Viking and the rightful heir to his father's throne. If one needs to find proof of their close bond as father and son, look no more than their shared secret in Ragnar's act of Machiavellinism to infiltrate Paris, where even Lagertha and Rollo are not privy to such secret before that fateful singular success raid on Paris. In season 4, Ragnar couldn't be prouder of Bjorn when he safely returns from his rite of passage in the wilderness. The same fatherly-affection showers Bjorn's half brothers Ubbe, Hvitserk, Sigurd and Ivar. Ragnar plays with his children in his spare time just like any other father would. The sacred arm-ring is granted from Ragnar to Ubbe and Hvitserk at a young age, followed by his taking the both of them to Paris for the summer's raid. While Auslaug objects to this, Ragnar's reasoning is very much sound as he actually believes his sons are better taken care of under his watch. While Ragnar is an exemplary family man who loves his wives and all his children, this isn't the case all the time. His separation from Lagertha can be blamed on his infidelity with Auslaug, while his falling out with his second wife Auslaug surfaces after the birth of crippled Ivar and his long campaigns outside of Kattegat. Ragnar's attempt of infanticide on newborn Ivar definitely tops the list of his transgressions, as he doesn't believe Ivar can survive in a society that demands physical perfection out of every men and women in becoming warriors. 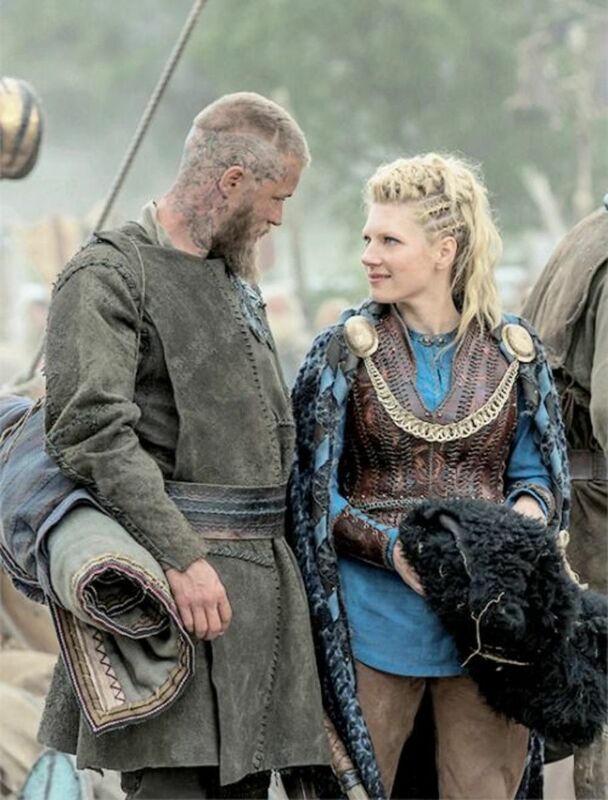 Unlike Ragnar's post-marriage relationship with Lagertha which are filled with mutual respect and obscure love, Ragnar never recovers from the cracks in his marriage to Auslaug as he dreads the presence of Auslaug consistently in the later stage of their marriage. Auslaug's fling with Harbard, a wanderer whose Floki believes to be another human form of Odin serves to drive the wedge further in Ragnar-Auslaug relationship. As if the Gods are playing Karma with Auslaug, Ragnar has his own fair share of flings with women during their marriage. 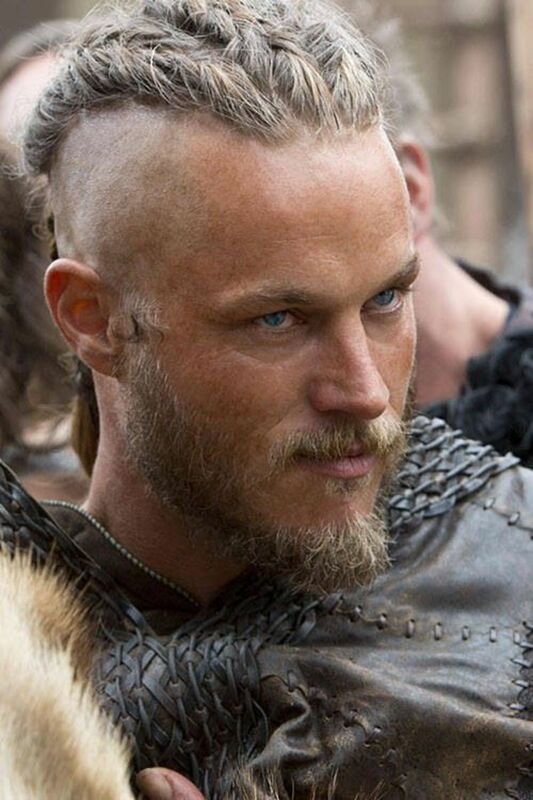 Queen Kwenrith's intimacy with Ragnar produces a lovechild, unbeknownst to Ragnar. 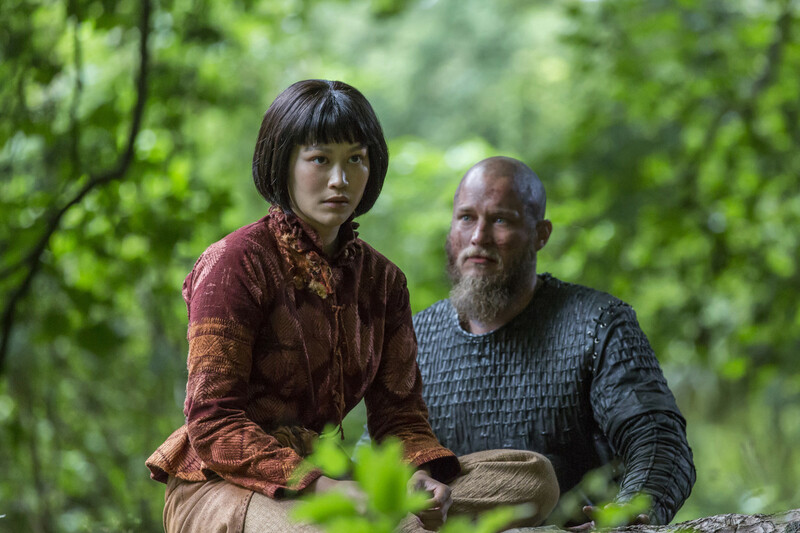 Ragnar's fascination with his former slave, Yidu goes beyond sexual attraction and it is to Yidu to whom Ragnar seeks comfort from the weight of his throne and fractured marriage to Auslaug. Even though Ragnar releases Yidu from her chain of slavery, his treatment of Yidu still mirrors a master-slave connection. Ragnar keeps Yidu tighter in his grip of dominance, particularly when he keeps pestering Yidu for the 'Chinese medication' for his temporary trippy escapes from earthly burdens. In a way, Ragnar's drug-taking is an outlet for Ragnar to mask his psychological problems. Unfortunately for Yidu, her blackmailing of Ragnar brings out the worst in him, as she meets her death in Ragnar's hands in a desperate attempt to keep his darkest secret from spilling out of the bag. 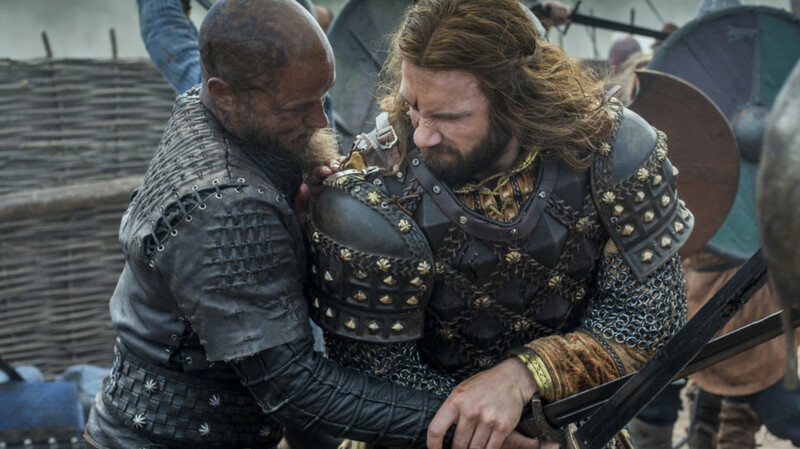 Resentment and jealousy have always superseded love in Rollo's bond with his brother Ragnar. Ragnar's love for Rollo blinds him to Rollo's bitterment, as Rollo realizes he can never get out of Ragnar's shadow as long as he rules. Ragnar's forgiving of his betrayal in the Jarl Borg incident doesn't help much in returning Rollo's brotherly affection towards Ragnar. It just seems to Rollo no matter how fierce he is when he wields the ax and shield in the battlefield, his reputation will never match Ragnar's. In a hindsight, Ragnar knew from The Seer's prophecy that Rollo will someday betray him yet again on a scale bigger than what Jarl Borg has managed. Even from right off the bat of the series, the Ragnar - Rollo relationship mirrors the story of Cain and Abel too much, with inevitable conflicts constantly lurking between them beyond the horizon. The Seer's prophecy comes true when Ragnar sails to Paris for the second campaign and his subsequent discovery of Rollo's betrayal in switching sides to the Frankish royal court. Unlike the previous betrayal of Rollo where Ragnar refuses to lifts his sword against him, this time around, Ragnar fully intends to go for blood against his brother and kill him with his own hands. Angry at this turn of events, Ragnar disowns his brother before they clashed swords. 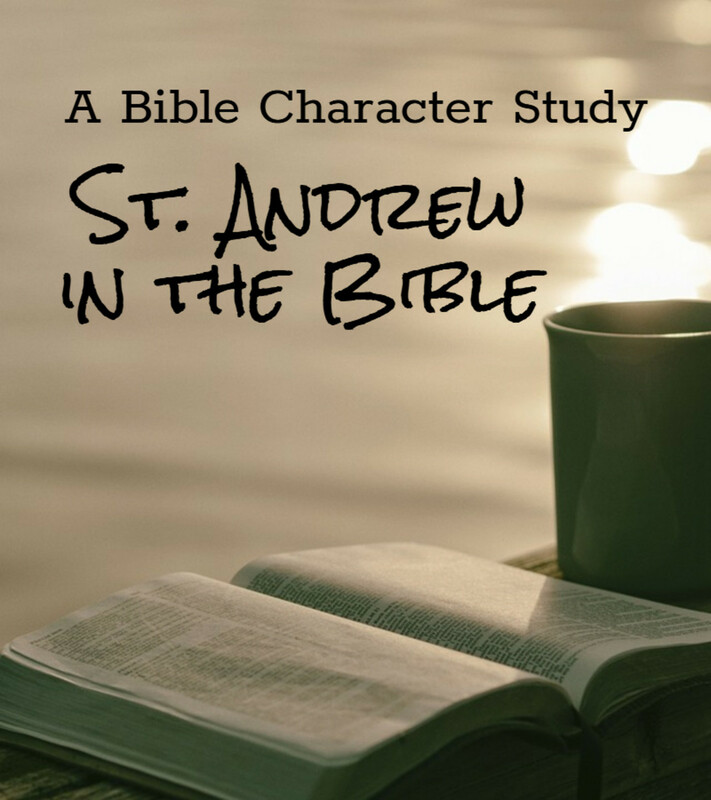 Their actions in that fateful battle essentially reflect each of the brother's motive. For Rollo, he is determined to defend Paris to the death, evident from his supercharging of the Frankish warriors' spirit under his command to go all-out despite the odds. For Ragnar, his lack of action in inspiring his warriors points heavily towards his personal vendetta with Rollo. Look at you! You look like a b***h! You're not my brother. Never has been. One of us will die today. Despite their all-out fight, Ragnar and his force are defeated, with Ragnar left licking his wounds while victorious Rollo, for the first time in his life celebrates the biggest accomplishment he has ever taste at the side of his wife, his father-in-law the Emperor of Paris and the Parisians. The impact of Rollo's betrayal and his party's defeat is the final nail in the coffin for Ragnar. Giving in to despair, he abandons his throne, family and his people for self-imposed exile before he reappears 6 years later in Kattegat. Ragnar's absence for 6 years in Kattegat after the botched final campaign against Paris and Rollo causes his grown up sons to resent Ragnar as much as they looked up to him, as they grew up in the shadows of his accomplishment. Only Bjorn, the closest to Ragnar among his brothers still retains good faith in Ragnar, another testament of Bjorn's admiration for his estranged father. It is quite impossible to overlook 2 important figures whenever the discussion of Ragnar's relationships with his inner circle arise. 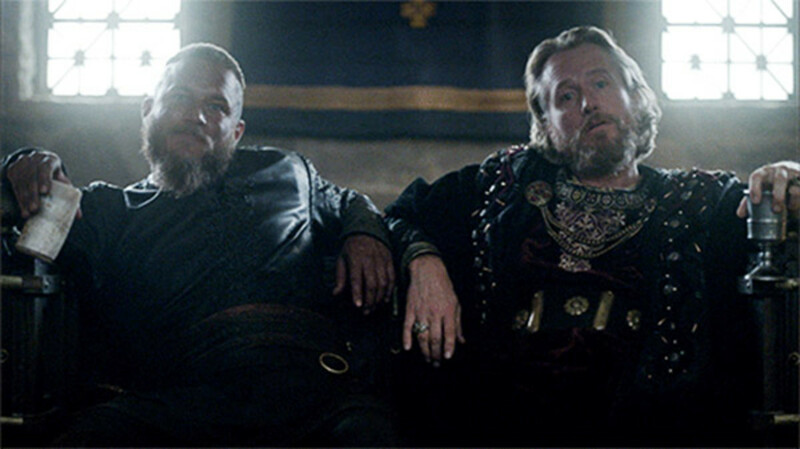 The 2 who are constantly at odds with each other, Floki and Athelstan. Ever since Athelstan has been accepted into Ragnar's household as a free man after the former's stint as the latter's slave, Ragnar's tie with Floki sinks underwater over time. 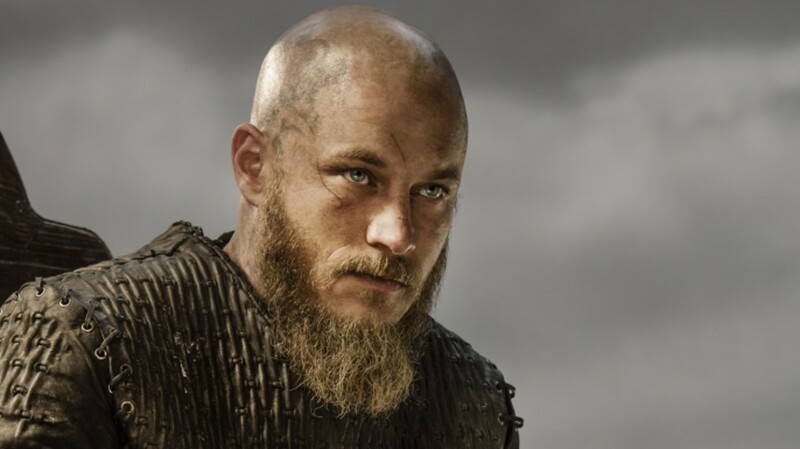 As opposed to Floki who is characterized as a Norse Gods fundamentalist, Ragnar is not one to feel afraid in detaching himself from the Gods' teachings to feed his hunger for curiosity. In Athelstan, Ragnar sees a vessel of knowledge in the form of foreign language, customs, and Christianity. 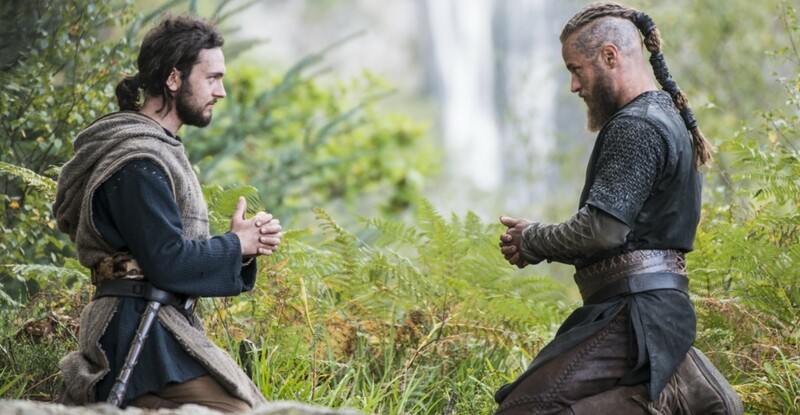 Ragnar's daring questionings for foreign knowledge and ideas infects Athelstan, who in the first place is stripped off from his previous life, spirituality and everything he once was by the very hands of Ragnar, his former tormentor who turns into his bromance partner. Eventually, the curiosity is reciprocal from Athelstan's end who shares the same enthusiasm to embrace Ragnar's Gods and way of life. Their bond as friends, based on mutual respect and curiosity is very much resilient that Athelstan might as well has been Ragnar's long-lost twin, much to Floki's chagrin. Unlike the greater Vikings society that possesses antagonistic view on Christianity, Ragnar is willing to compromise his faith if that is the price to pay for wisdom. Ragnar even acknowledges Athelstan's Christianity and Jesus, a Christian God that could co-exist with the many Gods that Ragnar worships. Ragnar: It is good to see you. I feared that you were dead. Athelstan: There were times that I wish I had been. I gave into despair. Athelstan: I wish it was so simple. In the gentle fall of rain from heaven, I hear my God but in the thunder I still hear Thor. That is my agony. Ragnar: I hope that someday our Gods can be friends. 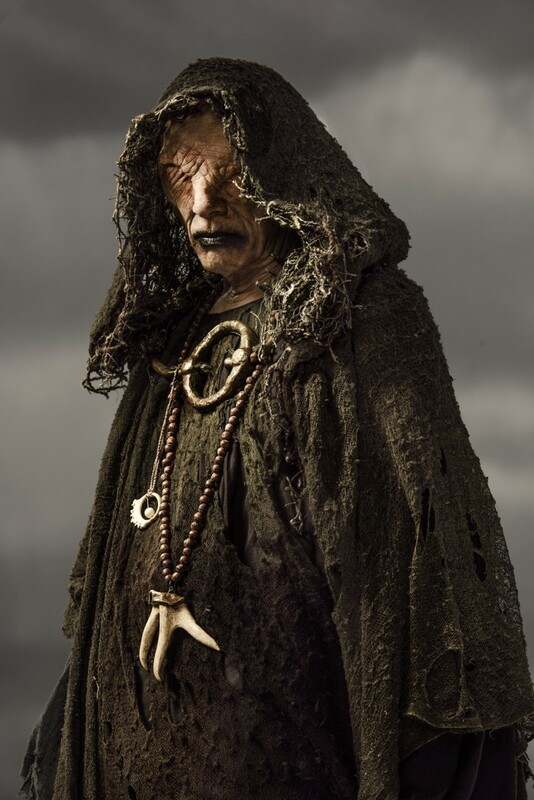 Whatever that is left in Ragnar's friendship to Floki, it is completely evaporated after Floki's murder of Athelstan. While Floki believes his action is backed by the Gods, Ragnar sees through Floki's deception and interprets Floki's action as nothing more than jealousy of Athelstan's closeness to Ragnar. His punishment of Floki in the form of watching Floki's battle plan crumbling down in the debut attack on Paris is quite out of Ragnar's character, as the collateral damage to his warriors takes shape into piles of dead Viking bodies on the banks of Seine river. Even Ragnar himself and Bjorn have a close brush with death in the failed offense. It is a bit perplexing, considering Ragnar's policy all this while of avoiding unnecessary loss of his warriors' life in battle. If nothing else, Ragnar's willingness to risks such collateral damage goes on to show how determined he is to make Floki suffers for his betrayal. Although Bjorn's order of Floki's capture after sailing back to Kattegat doesn't sit well with Ragnar, he still follows through with the capture, drawing inspiration from the sly God Loki's punishment in a cave for Floki's penalty. Ironically, it is the divine intervention of Athelstan's spirit in Ragnar's dream, implying mercy towards Floki's plight that breaks Ragnar's anger to free Floki from the torturous shackles. In Ragnar's time, the concept of 'ally' is interchangeable with 'enemy'. How soon or how frequently these 2 concepts can be shaped into each other depends on the political climate of both sides of the party. If a king feels he can take an advantage of an opportunity at the expense of an alliance, by all means, nothing will stop him from doing so. This scenario applies to each and every one of Ragnar's relationship with his allies. Born with an inherent talent for political maneuvering, Ragnar is not one to be trifled with when it comes to partnership. 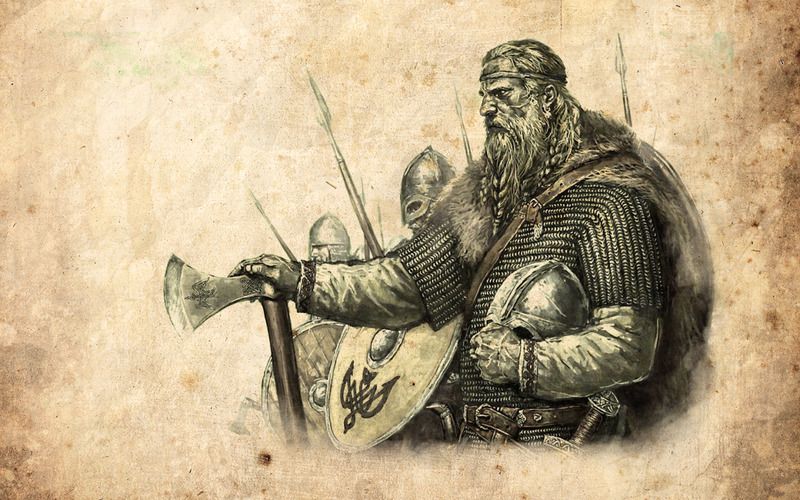 Earl Haraldson, Ragnar's former chieftain is the first one to meet the business end of Ragnar's ax, although he called Ragnar 'a friend' and sanctioned his initial raids to the west. Haraldson's hardliner views, rooted in age-old traditions, are at odds with the revolutionary stance of Ragnar whose opinion for progress is bold and necessitates venturing out of their comfort zone and their old way of life. As if the clash of ideals is not bad enough, Haraldson's dishonorable elimination of Ragnar's confidant Eirik and the subsequent forced eviction of Ragnar's family from their land sealed Haraldson's fate on Ragnar's chopping board. Ragnar's clash with Jarl Borg and King Horik, who are also once allies, is akin to playing with Ragnar's fire. On Ragnar's part, he would never approve the idea of civil war, as he argues instead of fighting among themselves, it is better to concentrate their strength in fighting their common enemies in the west. His stand on civil war would probably last longer, if only Borg and Horik keep Ragnar's family and warriors out of their personal quarrel with him. Similarly, both of these Jarl and King meet their end in Ragnar's hand. The brutality of the deaths of these 2 men speaks volume about Ragnar's hatred towards his enemies; Borg executed by the spectacular Blood Eagle, and Horik's lifeless body is headbutted and beaten repeatedly on the floor after being stabbed in the gut by Ragnar. Ragnar finds his most formidable ally/enemy in King Egbert of Wessex. 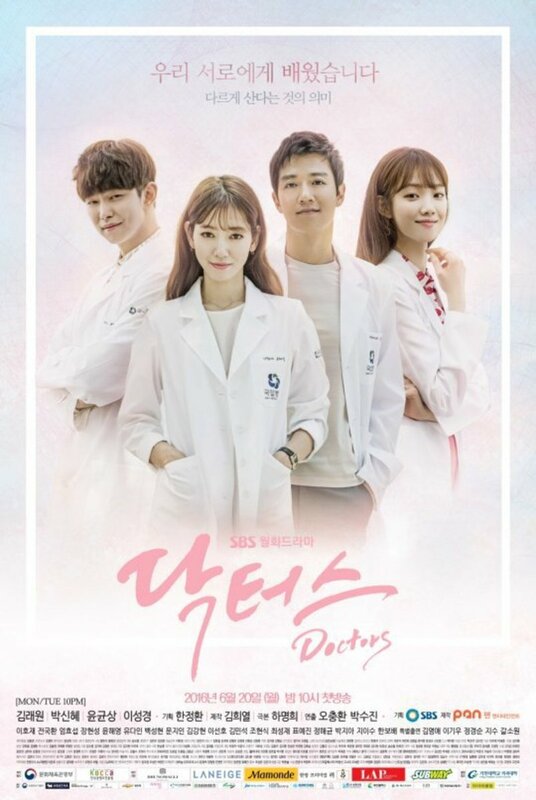 Their mutual respects for each other, however frank it seems on the surface, covers the suspicions of motives that swirls underneath the respect. Have it not been for Egbert's ingenuity in managing the threat of the invading Vikings, the 4 kingdoms of England might as well have been invaded by Ragnar and his raiders. Egbert's willingness to take the long, carefully manipulated path in countering the Vikings' threat as opposed to King Aelle's shortsightedness counter-attack is a measure of the similarity between Egbert and Ragnar is in many ways. Seeing how Ragnar and his warriors have paid their dues in fighting for Egbert, Ragnar makes a rare critical error in investing good faith in Egbert's promise of Vikings settlement in Wessex. 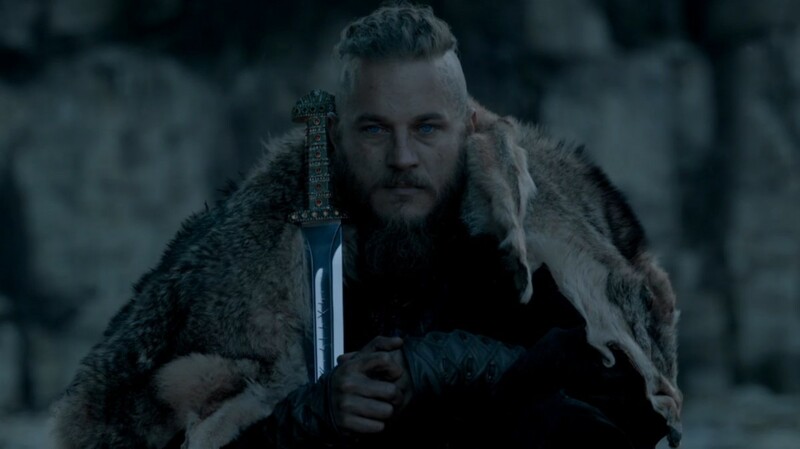 It is one of the burdens that Ragnar is cursed to carry forever; the knowledge that his settlers on Wessex have been massacred under Egbert's order. However, his reason for keeping the tragedy secret from his people apart from Floki is still not made privy until the mid-finale of Season 4. Nor his inaction of vengeance against Egbert for his breach of their agreement. This subject is shown to intrigue Ragnar's sons of their father's legacy after the secret is finally being made public by a Viking returning from Wessex in the middle of Ragnar's exile. 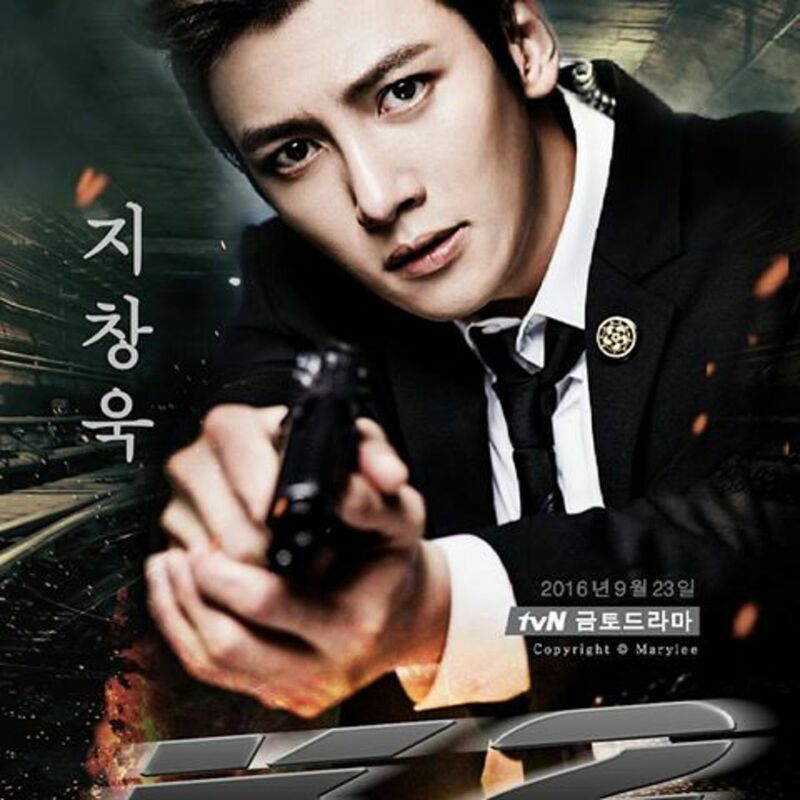 Will Ragnar continues to anchor the series in the future? At the moment, fans who are drawn to 'Vikings' in the first place because of Fimmel's Ragnar will have a reason to celebrate, as Hirst still have plans for Ragnar's continuity in the narrative. Even Fimmel himself is looking forward to explore Ragnar's backstory, as in what Ragnar has been up to all the while during his exile. One way or another, Hirst will make sure that Ragnar's life will come to a full circle. Ragnar still has a lot do deal with; the power vacuum in Kattegat, settling scores with Rollo and Egbert, and finally maneuvering the contempt of his grown-up sons.